Clock in and tap on “Open Store & Clock In” button. This step should be done by the admin or manager. 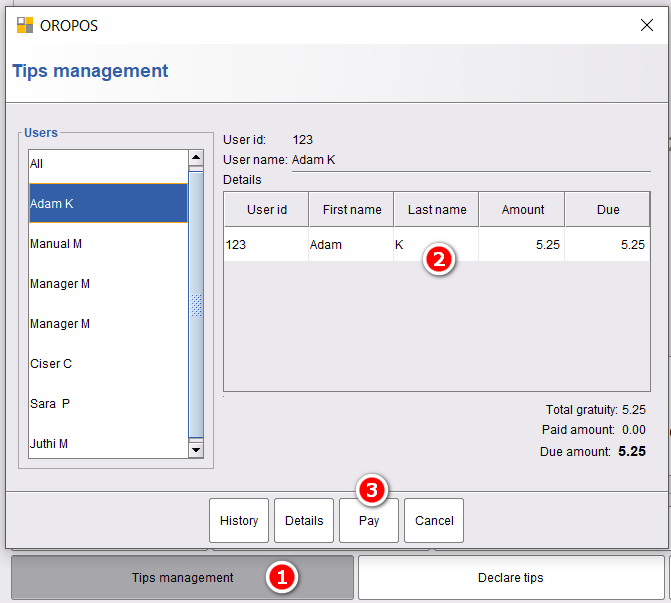 From Clock in the dialog assign cash drawer. 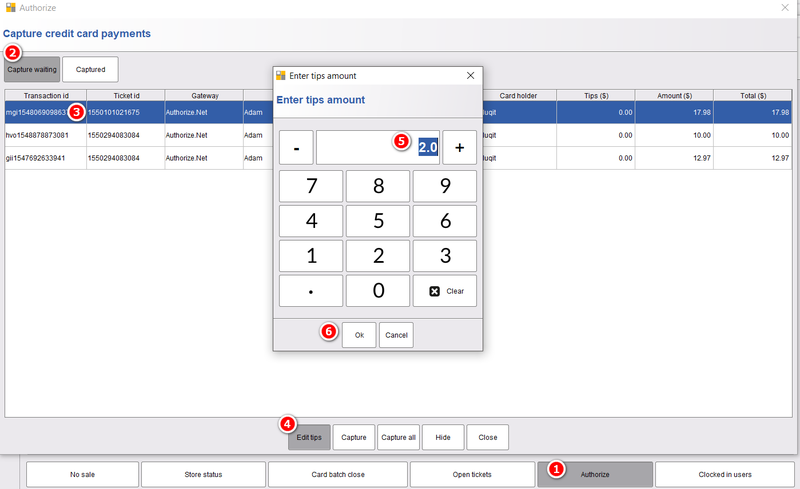 If you do not see any drawer assign button, go to the back office and check if the cash drawer is enabled. 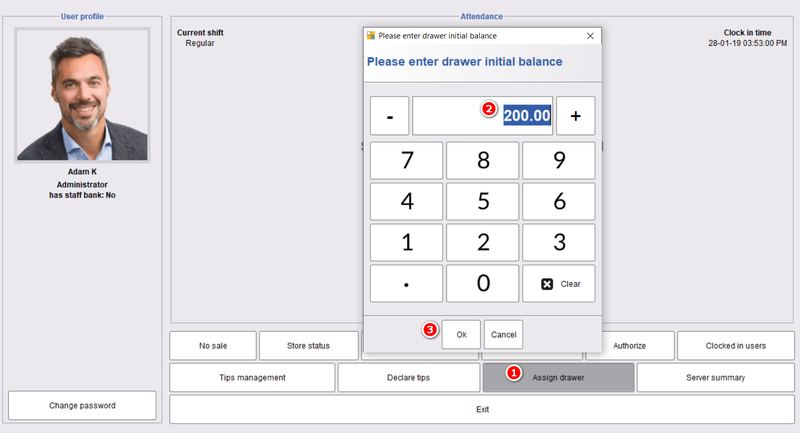 By default Drawer initial balance is set to 00 USD. Make sure you have set the correct amount of your choice. Staff Bank is used when Users are carrying customer cash payments in a bag. 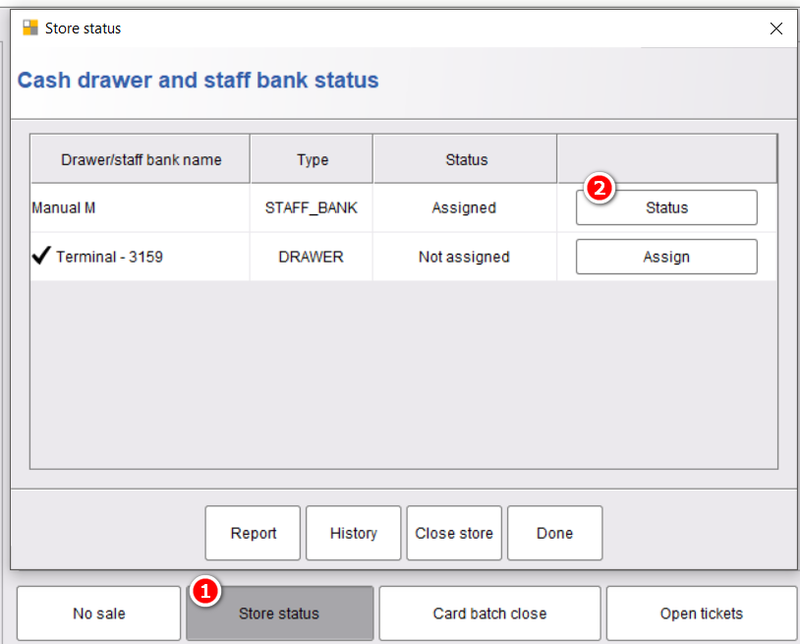 Assigning a Staff Bank is similar to assigning a Drawer. This is very helpful as more than one user cannot be assigned to Drawer at the same time. 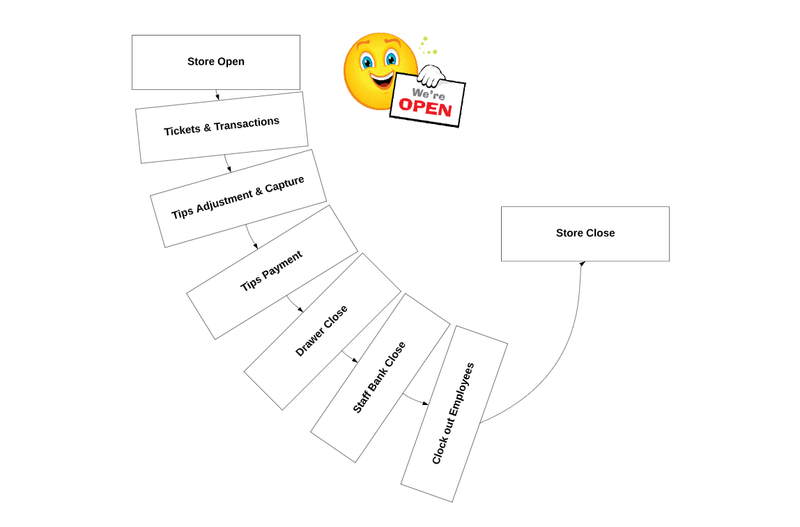 Please note, if the user cannot Open Store, then User may not have Privilege to “Open” or “Close” store. Please check back office for setting up that permission. Clock In in as Admin/ Manager. 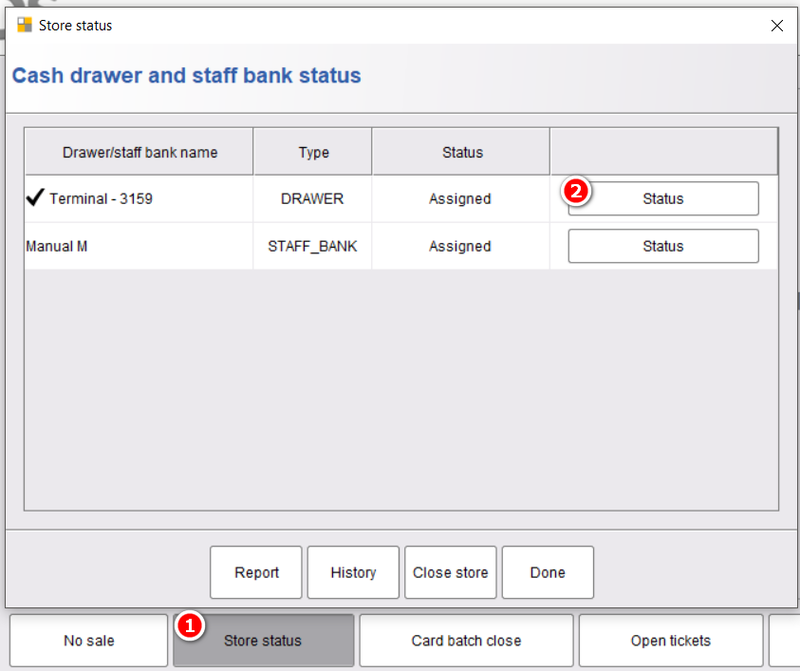 Check if all drawers and staff banks are closed with Store Status Button. 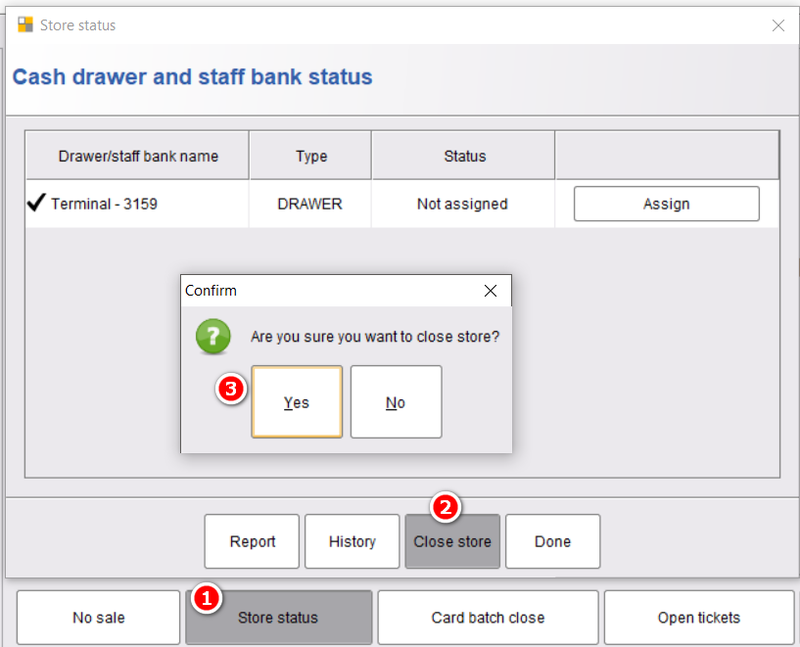 If not all Drawers are closed, select drawer/ staff bank and close it. 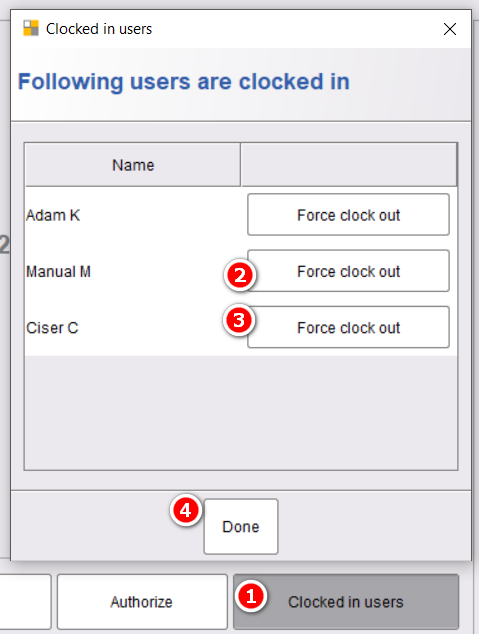 Notify all of your employees to clock out. If some employees forget to clock out before leaving the store you should force clock out them. The admin/manager whoever is closing the store should not clock out in this stage. 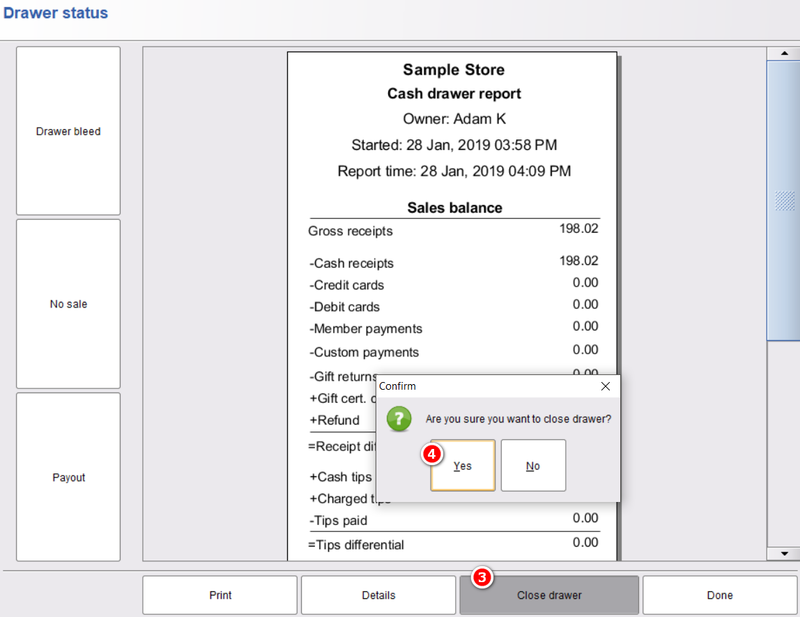 2.4.1 Make sure all tickets are closed prior to closing store, If there are open tickets left and all drawers are closed, open a drawer, take payment and close drawer. 2.4.2 Capture all Authorized tickets. 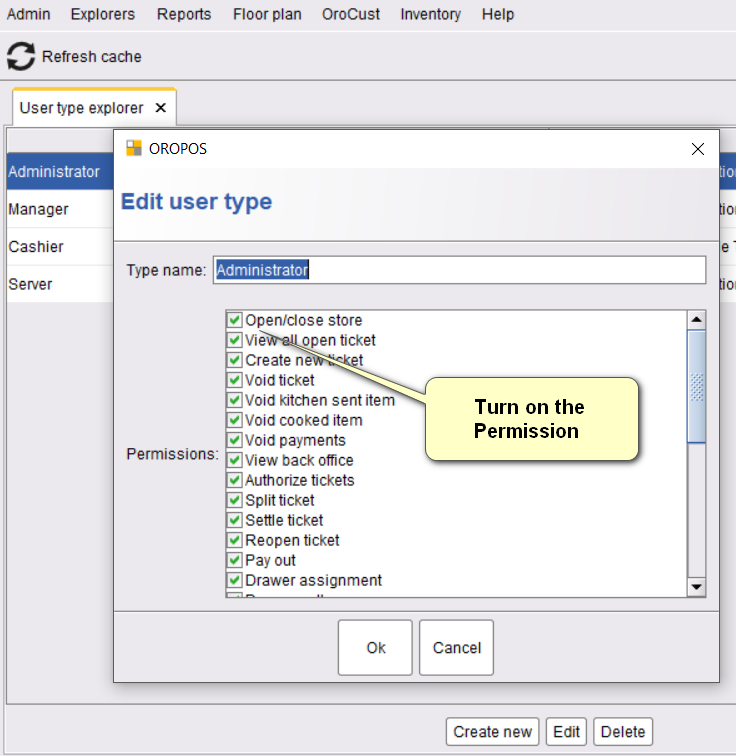 Finally, close store with Close Store button from Store Status.